About The Hopkins Law Firm, P.C. Why should you hire Oregon Auto Accident Attorney Craig Hopkins? Craig Hopkins is an accident attorney that focuses his practice on helping people who have been personally injured, and the families of people who have been killed because of someone else’s negligence. Injured people should talk with an accident attorney right away to learn about their rights. Craig has helped many people obtain payment for their injuries, medical bills, and pain and suffering. What sets Craig apart is not what he does, but how he do it. As a sole practitioner, Craig has the flexibility to choose his cases, and spend the time to get to know his clients. Finding the right solution to a legal dilemma should be a collaborative effort. Often, there may be more than one avenue to resolve an issue. Each client’s particular personal needs and concerns are taken into account in formulating a plan of action. Craig never take an assembly-line approach to his clients’ personal injury and auto-accident claims. Craig takes pride in “fighting for the little guy.” He takes cases he believes in for people he cares about. Each case that Craig selects is handled with extreme care, and given the amount of time it needs and deserves. Craig is genuinely interested in the welfare of his clients. He always trys to do more than merely obtain a successful result in a particular case. Craig is certainly proud of the results he gets, and the speed with which he gets them. However, Craig is just as proud of the fact that he returns all phone calls immediately, and solve every problem he can, whether it is directly related to the case or not. 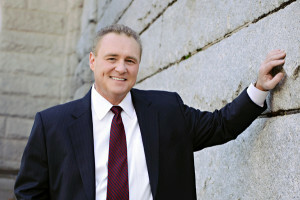 Craig has maintained friendships with many of his clients long after he has won or settled their cases. His relationships with his clients are just as rewarding as his professional accomplishments on their behalf. Craig has achieved outstanding results for many people. Although each situation and case is different, it takes an injured person very little time to consult with an personal injury attorney to learn if he or she has a case. It is important to do this as soon as possible after an accident, so that evidence can be preserved and witnesses interviewed before their memories fade. Even if you do not have a case, Craig will take the time needed to evaluate your circumstances at no cost to you. If you have been seriously injured, it is important to consult with an attorney (even if you don’t end up hiring one) before talking to the insurance company of the person who caused the injury. There are many potential traps and pitfalls from dealing directly with an insurance adjuster. Injury victims often end up giving a recorded statement, agreeing to be examined by a company doctor, or signing a release for something for which they did not mean to sign a release. It is only later that they learn these things were not in their best interests. In addition to providing a free initial consultation, I charge no attorney’s fee until I actually win or settle a case for an injured client. In short, it costs nothing to consult with an attorney about a personal injury. Disclaimer: The Oregon Auto Accident Attorney's legal information presented at this site should not be construed to be formal legal advice, nor the formation of a lawyer or attorney client relationship. Any results set forth here were dependent on the facts of that particular auto accident case and the results will differ from case to case. To get specific legal advice regarding your auto accident please contact Oregon attorney Craig Hopkins at his office in Lake Oswego, Oregon. This web site is not intended to solicit clients for matters outside of the State of Oregon and is considered advertising by the Oregon State Bar Rules. This is an Information-only website. Craig M. Hopkins Attorney at Law, does not collect, retrieve, store, or otherwise maintain any personal data from visitors to this site.